Please ensure to add additional width and height to your measurements when choosing 3 and 4 sided Surface Mount! 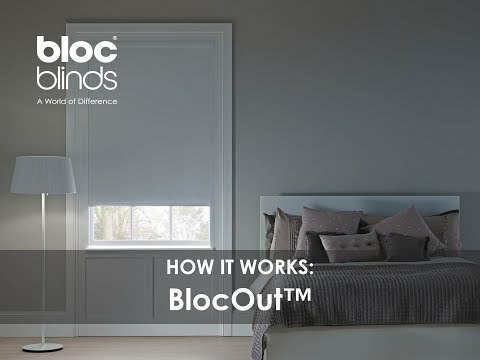 The BlocOut™ is an innovative blackout roller blind offering unrivalled levels of darkness in your bedroom. The award-winning roller system combines an aluminium faceplate with bespoke side rails to block out light and draughts when combined with a black out fabric. This clever, cordless design has been independently proven by the British Board of Agrement to reduce heat loss by up to 43%. Winner of 2017 Made for Mums award for Best Nursery Accessory, the BlocOut™ is a perfect sleep aid for children and adults alike. *Windows directly behind BlocOut Blinds must remain closed as this could cause the fabric to move when the blind is closed. Delicate Cream is a hugely popular choice of fabric for blinds. With hints of a warm base this blind is guaranteed to fit in well alongside warmer colour palettes and all kinds of window frames. A best selling blind with a timeless and universal appeal. The blackout qualities are ideal for creating a restful atmosphere in any bedroom whilst maintaining a light and welcoming feel.